Maison Lenôtre called upon Expertime to strengthen its digital strategy and build a solid e-commerce platform. 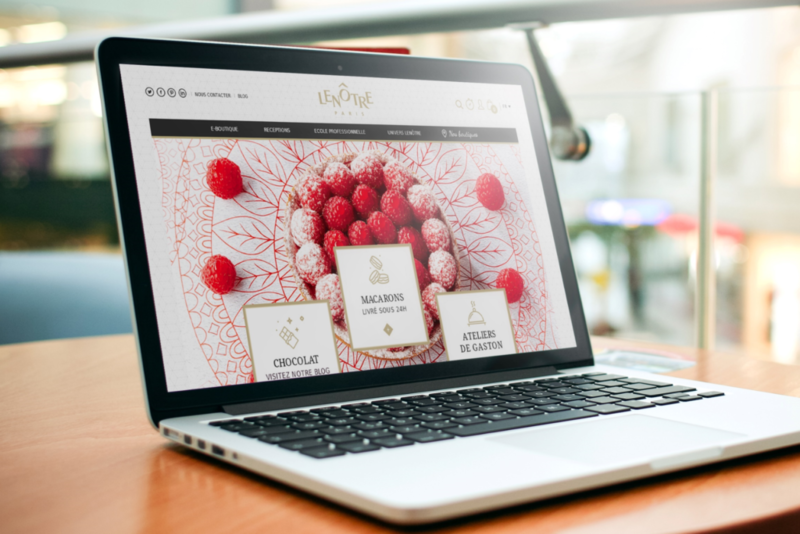 The whole of Lenôtre websites have been gradually taken over in Responsive Design, and then integrated on the new Magento technical platform. The high-end and immersive design of the website showcases image, but does not neglect the ergonomics, in favor of an optimized customer experience and increased commercial efficiency. Initially chosen for its technological reputation, Expertime agency put its full spectrum of expertise to work: consuluting, design & ergonomics, development & support. Since the launch of the school’s website, Expertime has been working alongside Lenôtre to build up the other websites for the firm and support the development of B2C and B2B e-commerce activities: direct online sales, development of services strategy, showcasing of the Lenôtre reception offer and online quote tools.